ZiwiPeak Dog Treats are a range of top-quality natural meat jerky treats for dogs. They are excellent for training purposes, rewards or to take out when walking. They are packed with both delicious real meat and vitamins and minerals to help your dog be both happy and healthy. ZiwiPeak Treats will aid your dog's digestion and will also help him to have healthy skin and a shiny coat. They will also help with bad breath and flatulence. 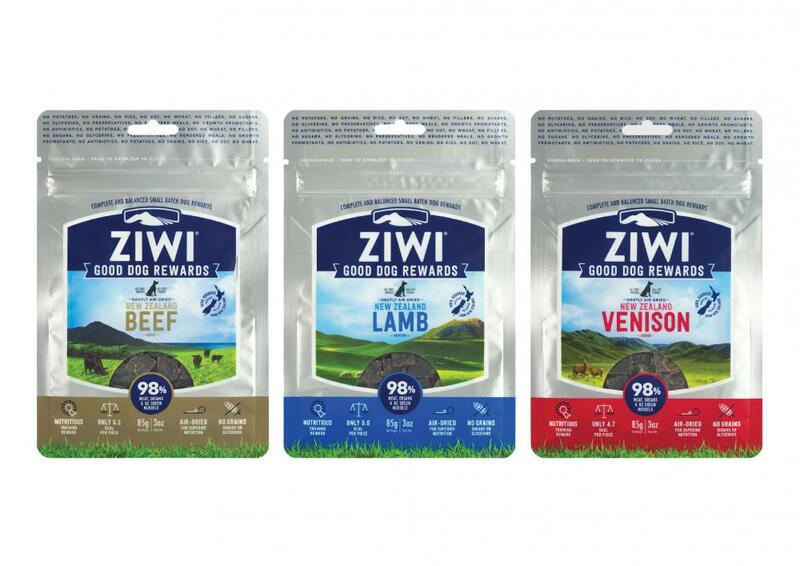 All of ZiwiPeak's dog products aim to mirror what a dog would naturally eat if he were hunting in the wild. This is why ZiwiPeak foods are made from all natural ingredients, with no preservatives, colours or filler grains and plenty of meat. All of the ingredients are grown in ZiwiPeak's own ranch in the green fields of New Zealand. Beef (Meat 95% minimum), Lecithin, Chicory Inulin, Parsley, naturally preserved with mixed tocopherols. Lamb (Meat 95% minimum), Lecithin, Chicory Inulin, Parsley, naturally preserved with mixed tocopherols. There are currently no questions for ZiwiPeak Dog Treat Pouches - be the first to ask one!